Lesser Redpoll enjoys TT Races!! at the Copeland Bird Observatory, County Down, UK on the 21 September 2014 before being controlled at Ripon Parks. See the above link for more details of this bird. Today saw the 500th Redwing ringed of the autumn at Ripon Parks. Good numbers of other species have also been ringed including, amongst others, Lesser Redpoll, Fieldfare, Goldcrest and Mistle Thrush. Recently controlled birds, Autumn 2018. Avocet found in France! Ringed by Landguard RG on the 25 August 2018 as a juvenile and controlled by EDRG at Nosterfield Quarry Reedbed on the 2 September 2018 just 8 days later but 306km in a northerly direction! Ringed in Spennithorne, North Yorkshire on the 30 September 2017 as a juvenile female and controlled by EDRG at Nosterfield Quarry Reedbed, some 17km away in a south easterly direction on the 14 August 2018. Over the course of the Autumn migration, it has been interesting to note the colour variation between different Redwing (Turdus iliacus) that have been ringed at Ripon Ponds. Below are just some of these birds. Still looking out for our first Icelandic race Turdus coburni! Below are just some of the birds ringed by the group over the last two weeks as the Autumn migration has stepped up a pace. Over 1500 Redwing and 500 Fieldfare were seen over Ripon Ponds on the 30th October with good numbers ringed for the day. More updates soon but over 330 Redwing have been ringed so far with good numbers of Fieldfare too and ringing continues over the next week. Lesser Redpoll have been the stars of the show with 182 ringed this autumn so far and counting. Ripon Parks complete with rainbow. 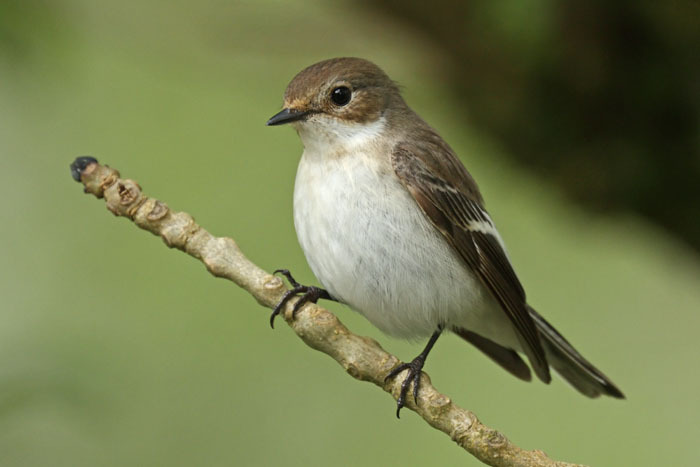 There has been an on going project of Pied Flycatcher ringing over a number of years at the Strid near Bolton Abbey in North Yorkshire. One of the many ringed has been recently controlled in Claughton, Lancashire. The bird, ring number S007061, ringed as a pulli on the 3rd June 2017 was controlled at Black Wood, Claughton on the 24th May 2018 (a female) some 51km WNW from its original ringing site.